Some people feel that because their dog appears healthy that they can skip an annual checkup for their pet. However, an annual vet visit for your dog is an important part of his health maintenance. Remember that dogs age a lot faster than we humans do. 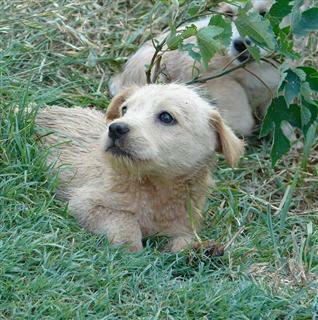 Before we know it, that cute little puppy becomes middle aged, and health issues may start cropping up. With regular visits to your pet’s vet, he or she can detect any potential problems before they escalate. Are Annual Shots and Tests Necessary? Heartworm, which can result in congestive heart failure, can be fatal if not caught and treated early. It used to be found mainly in the South, but it is now seen throughout the U.S. Therefore, vets recommend that all dogs receive an annual heartworm test and, if negative, a prescription for heartworm prevention medication to protect against this disease. The debate is still going on regarding the necessity of annual vaccinations and which ones. Research indicates that distemper and rabies shots don’t need to be given yearly once your dog has received initial vaccinations and boosters. The time interval between subsequent rabies vaccinations may vary by law depending on where you live. Frequently, annual vaccinations are given as a “5-way,” with adenovirus cough and hepatitis, canine distemper, parainfluenza, and parvovirus. Depending on where you live and whether certain diseases are a concern, it may also include leptospirosis and/or coronavirus. If lyme disease is a concern, you may want to ask for a lyme vaccination for your dog. The bottom line: Opinions on vaccinations vary from vet to vet. Don’t be afraid to ask your vet about the various vaccinations and for his opinion on whether your dog needs these shots annually. The first few weeks (up to 12 - 16 weeks of age) of a puppy or kitten's life are when primary socialization occurs. Well-rounded experiences are important to produce a well-rounded pet. Here are some basic behavior tips to work with your new puppy or kitten. Training sessions should be kept short, fun and at random; establishing behavior patterns for a confident pet that will last a lifetime. A well-socialized pet (young or old!) will help ensure that your pet is able to be examined fully and with as little stress as possible for visits to the vet, groomer, kennel and any public outing. 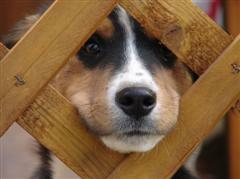 Being familiar with only you or other household members may make your pet fearful of strangers. Strive to introduce your new pet to as many people in as many different places as possible -- children, adults, elderly, male, female, other nationalities, and so on. Do not force the pet on the new visitor and vice versa. Let the introduction occur slowly and at the pace that your pet feels comfortable and not threatened. Closely supervise new interactions with children, as both parties may get too excited or active, possibly causing injury. A well-socialized pet is familiar with the sounds and movements of household items, such as the vacuum cleaner, broom, hair dryer, lawn mower, and so on. Caution is advised; some of the equipment that pets need to be socialized to are dangerous, and while you don't want them to experience panic and terror every time you mow the lawn, they must also realize that these items are not play toys, either. Another family member should be with the pet while appliances or equipment are powered on to offer support and assistance if needed. Items such as children's toys or umbrellas make good socialization choices as well. It can be easy to teach and maintain equipment and appliances around your pets. If you have bigger equipment that may require Mapcon CMMS to maintain, it is probably best to keep your pets from that part of your house or garage. Have you ever seen an adult dog afraid to walk on a tile floor? Exposure to various surfaces; wood decking, concrete, grass, shiny tile, stairs and so on is a great way to give your pet confidence in a variety of situations. Different places such as the beach, loud indoor building, farmer's market, elevator, other homes, and of course the veterinary office all offer great socialization opportunities. NOTE: since the primary socialization occurs before 12 weeks of age and animals are not fully vaccinated by this age, caution is advised for general health and infectious disease control in public places. While some people may thing it is "cute" for a puppy or kitten to sound or act "tough", this is not good socialization and spells trouble for future behaviors. Hands, feet, limbs are not acceptable items to chew on or grab, and if allowed to do this at a young age, the puppy or kitten will have a hard time relearning that this is not acceptable later on. It is optimal to adopt a puppy or kitten after 8 - 9 weeks of age. They learn important socialization behavior from Mom and littermates, too (such as bite inhibition). If the only time your pet gets in a car is to go somewhere "unpleasant" like the vet's office or kennel (these places may also be "pleasant" depending on the pet's perspective! ), the car ride can become a very feared and stressful event. A short trip to the park or vet office, with lots of encouragement and praise, perhaps rewarded with a treat afterward, will take the fear out of car rides. Using a crate or harness will also provide security. For fearful pets, just sitting in the car and not going anywhere a few times will help the pet realize that the car is "OK" and give them confidence to go on actual rides later. This does not need to be repeated often and is only done for a few seconds at a time. How your pet reacts is a good assessment of temperament. Pets should not growl or snap if the food is removed. This technique establishes who is "boss" (the human) and will hopefully eliminate any food-related aggression or unpredictability in the future. Aternatively, feed smaller meals more often. If this is a problem with your pet, please consult with your veterinarian or pet behaviorist to safely address this potential problem. Get your pet used to being looked at! Check the eyes, ears, toes, mouth, gums, teeth, belly and so on to help your pet feel comfortable and be accepting of the various palpations and positioning. This helps with future veterinary visits and can be invaluable training for emergencies. This also helps with regular grooming, such as bathing and regular nail trims and tooth brushing. This is more of a general puppy and kitten tip rather than socialization tip, but it is wise to NOT use discarded shoes, clothing or toys as play objects, since it is difficult for the pet to discern what is a "toy" and what is "an item that shouldn't be chewed up or destroyed"!